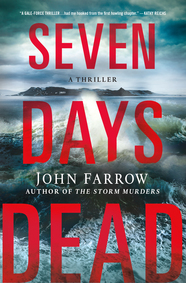 MY BOOK, THE MOVIE: John Farrow's "Seven Days Dead"
John Farrow is the pen name of Trevor Ferguson, who has written numerous novels and plays, all to extraordinary acclaim. His Émile Cinq-Mars crime series has been published around the world and cited by Booklist as "one the best series in crime fiction today", while Die Zeit in Germany suggested that it might be the best series ever. 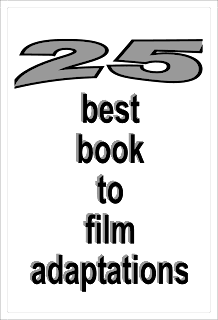 Actually, I’ve had a “literary” novel made into a film. The Timekeeper, written under my real name, Trevor Ferguson, taught me that, when it comes to casting, be careful what, and who, you wish for. We ended up having a pair of actors switch roles, which was a godsend, but going into the process, despite all our preparation, who knew? Director and producer were also tickled pink with an actress, and the fact that she was so unbelievably attractive was a bonus. Trouble is, once we got her out to the far northern woods, she was too pretty to be believed in the harsh reality of that environment. Her role had to be deleted, I had to rewrite scenes to make it so, and her image was digitally removed from scenes we’d already shot. Again, be careful what you wish for. We had a German shepherd who was wonderful: in fact, we needed two dogs to play the role. One for the aggressive King, and another for when he was friendly. And our bear was super. The actors needed time to adjust playing alongside a bear, but give the beast a marshmallow and he became, well, a marshmallow. Troublesome, however, were the wolves. They were described as “half-wild”. I’m not sure that any “half-tame” side ever came out, and we lost days in the shoot because they wouldn’t play their parts on cue. Eventually, they came around. At least no one watching the movie will think of them as anything but wild. Oh, and the bugs were incredible. The ones you see on screen were not digital. If there’s ever a movie based on my crime novels—and options have been taken out; scripts written—I opt for no animals. And no great beauties. I want actors who, like last time, know how to seize a role, even when they weren’t cast for it. And this: we employed extras from the area who were First Nations people, and they had a look and a made a contribution that helped the film immensely. I’d like that in any future movie: real people, even in the lesser speaking roles, who look and speak as though they descend from generations of folk married to the soil. That level of authenticity can do so much for a film. Visit Trevor Ferguson's Facebook page. The Page 69 Test: Seven Days Dead.